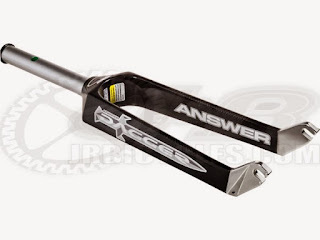 ANSWER Dagger Pro Carbon Fork | 20" Harga: Rp. 1.400.000. 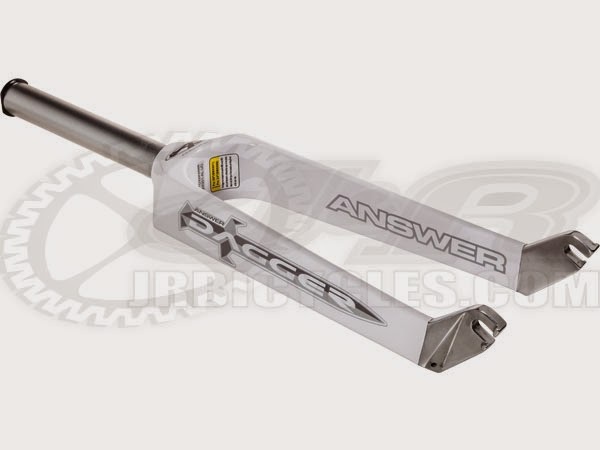 The Answer Dagger Pro BMX race fork features 4K thread Carbon weave, a 7000 series aluminum steer 1-1/8" tube and a built in alloy compression cap. FIT: 1-1/8" steer tube for frames with 1-1/8" head tube, 20"
J&R Helpful Hint: As with any major installation, J&R always recommends having forks installed by a professional.